This tutorial is all about HDRi techniques and how they apply to panoramas. Or rather: how you can work around the main pitfalls when trying to tone map stitched 32 bit panoramas. This involves a neat little transformation trick where you basically wrap the panorama inside out. That way, all you need is a panorama stitcher that’ll stitch and merge your bracketed exposures to a 32 bit spherical image, and a tone mapping software to perform your conversion to the final LDR version of your panorama. Kudos again to Stephen Tyler for showing me an even better approach to this than I had originally thought of. 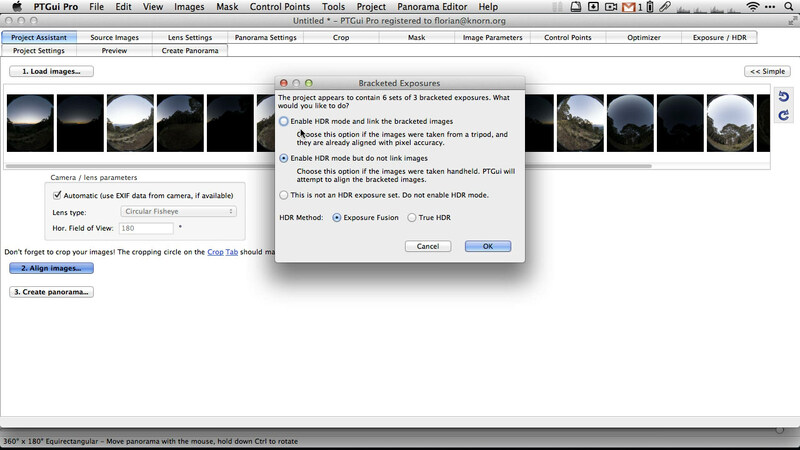 Links: Christian Bloch’s HDRi Handbook and Peter Nyfeler’s article in the PanoTools wiki. Would it be possible to use HDRSoft and Putgui Pro to combine the images?